With so much of our information now stored on electronic devices, it’s easy to take for granted that we can find whatever information we need in just a few keystrokes. Can’t remember your wedding anniversary or your mom’s birthday? No problem — help is only as far away as your nearest digital device. While it’s no secret that protecting data in the business world is crucial, many people are still practicing risky behavior when it comes to backing up even their most important information. That’s why, each year, World Backup Day, which is on March 31 in 2019, brings attention to the issue of lost data and how you can keep from being one of the thousands of users who fails to backup their information. The first things you should know about backups are what they are and why they’re so important. A backup is simply a second copy of all your important files. That means your photos, documents, presentations, emails and, of course, those important birthdays and anniversaries. In other words, if it’s something that’s worth storing on your computer or other device, it’s worth backing up. Surprisingly, even though backing up data is a fairly simple and painless process, it’s often overlooked. World Backup Day officials report that 30% of users have never backed up their data. Ever. Like many people, you might have a false sense of confidence that your data is safe, but the statistics tell a different story. If you’ve ever lost your phone or tablet, you probably lost all the data on stored on it. And you wouldn’t be alone; according to numbers released for World Backup Day, 113 phones are lost or stolen every minute. Even if your phone is never lost or stolen, there are many other devices at risk. Your computer, which stores valuable and often sensitive business information, can be infected by a virus — something that happens to about 10% of all computers every month, according to numbers from World Backup Day. With new forms of ransomware and malware emerging almost daily, incidents of cyber-attacks have become increasingly common. In fact, Acronis reports that every 10 seconds someone in the world is hit by ransomware. It only takes one incident to lose all your data, and the effects can be costly. For a business, the cost of losing data continues to rise each year. IBM Security’s 2018 Cost of a Data Breach Study found that the average cost for each lost record rose from $141 in 2017 to $148 last year. Their figures take into account such hidden costs as lost business, employee time spent on recovery and the negative impact of a data breach on a company’s reputation. Viruses and cyber-attacks aren’t the only threats facing your computer; about 29% of data losses are caused by accidents, such as weather-related events, and another 32% are caused by good old-fashioned human error, according to Acronis. Knowing that there are so many different ways to lose data only drives home the importance of backing up all of your information. As a business, you already know the importance of backing up the data on your servers. But that’s just the beginning. Employees store important information on PCs as well as mobile devices, and as already mentioned, mobile devices like phones are at greater risk for being lost or stolen. Likewise, PCs are vulnerable to human error, which can put their data in danger. Creating a great backup strategy entails having a plan for your entire network, not just your data, which means backing up your internet connectivity as well. Disruptions in your service can cost you in direct revenue through loss of customers as well as a reduction in productivity. You also want to make sure that your backup strategy is scalable so it can keep up with your company’s growth. As data protection demands change, it’s crucial that your backup strategy can change and grow with it to prevent disaster from striking. When you create a backup, you need to store it someplace safe and somewhere that’s separate from the original storage site. (Keeping it at the same location is a lot like locking the door but leaving the key in the lock.) That’s where the 3-2-1 backup strategy comes into play. While there is no such thing as a foolproof backup system, the 3-2-1 strategy is about as close as you can get to one. In short, the 3-2-1 plan means keeping a minimum of three copies of your data in different places. This will be your primary data source and two backups. Your data will be stored on two different types of devices, such as an external or removable drive or on cloud-based storage. That means that if one type of device fails, you’ll still have an alternative device that stores the information. Finally, you’ll have one copy of data stored off-site and, preferably, in a different geographical area. That ensures that in the event a fire or natural disaster destroys your building, your data will still be safe. So if your original data lives in the computer hard drive and the second copy is stored on an external drive at the same location, the third copy of data could be stored on the cloud. 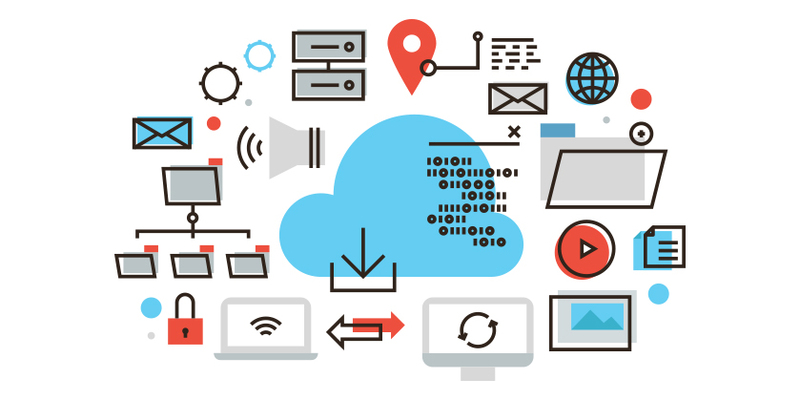 Using cloud-based backup also ensures that the data is continuously updated in real time, so you’ll never have gaps in your information in the event of a breach or a disaster. There’s no substitute for a great backup strategy and, in today’s world, there’s no reason not to have one. For World Backup Day on March 31, declare your independence from disaster and put your data protection plan into action. If you want to learn more about how to keep your data safe and create a great backup strategy, Aventis Systems can help. Contact us at 1-855-AVENTIS to talk to one of our experts about how to protect your most sensitive business data.